What can Christmas trees teach us about Procurement? Tis the season to be jolly, or at least that’s what the songs say. Beyond the joy of festive lights and shining Christmas baubles, this is a season which in many ways highlights the critical importance of great procurement. We’re not talking Santa Claus here, although the logistical nightmare he faces each year must be staggering. We’re talking about Christmas trees. The United States alone sells and ships as many as 30 million Christmas trees each year! That’s a huge challenge for a product designed for just a few short weeks. So what do some of the world’s most iconic Christmas trees teach us about Procurement? The Rockefeller Christmas Tree is perhaps the world’s most famous Christmas tree. 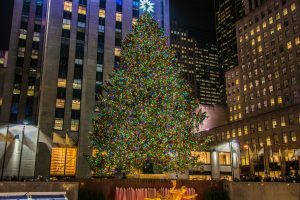 The first official Rockefeller tree goes back to 1933, and it’s become such a New York institution that its lighting is now broadcast to millions annually, and the tree has made its way into films from Elf to Home Alone 2. Each year a scout for the Rockefeller Center travels the states around New York hunting for the perfect Christmas tree. Not only does this key festive scout explore specialist growers and nurseries, they also use their talents to keep vigilant for one-of-a-kind trees tucked away in backyards and growing on private grounds. But what can this iconic tree teach us about procurement? When you’re looking for what will be the world’s most famous Christmas tree, the quality of the goods is key. By accessing a wide range of suppliers, the Rockefeller scout can ensure they’re always able to deliver something exceptional each year. When it comes to procurement, having an extensive supplier base means unlocking a wider opportunity. 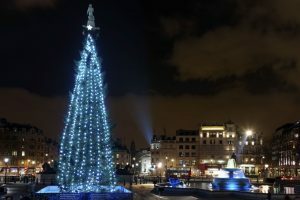 The Trafalgar Square Christmas Tree is a 20 meter tall Christmas tree that towers over Trafalgar Square in the heart of central London. It’s one of the most iconic Christmas trees around the globe, emerging from a tradition that began in 1947, after the ravages of the Second World War. The tree itself is a gift from Oslo, Norway, gifted in recognition and thanks for the assistance provided to Norway by the people of London during the war. So what does this tell us about procurement? Each year Trafalgar Square shines with the lights hanging from this glorious Christmas tree. At the heart of this tradition is the fantastic relationship between Oslo and London. This gift is a recognition of a great friendship, and one that ensures that the tree destined for Trafalgar Square each year is of only the highest quality that Norway can find. When it comes to procurement, there’s real value in strong relationships. 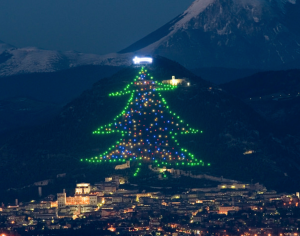 The world’s largest Christmas tree illuminates the hillside of Monte Ingino in Central Italy. This mountainous tree is actually a collection of 460 lights, strung together across the Italian hillside to create the sparkling multi-coloured symbol of Christmas. And this year the signal to light the 650 metre high Christmas tree actually came from space, with Astronaut Paolo Nespoli sending a signal from the International Space Station to let the seasonal festivities begin. The world we live in is more connected than it has ever been, and with that connectivity comes opportunity. Can there be a better festive representation of the potential for remote working than an astronaut orbiting the earth lighting up a Christmas tree in Italy? Technology gives us the opportunity to take advantage of remote working and connected information to enhance the way we work. In procurement that means the huge opportunities of cloud-based e-procurement like Procurehere, allowing information to be shared that can truly unlock work-on-the-go. 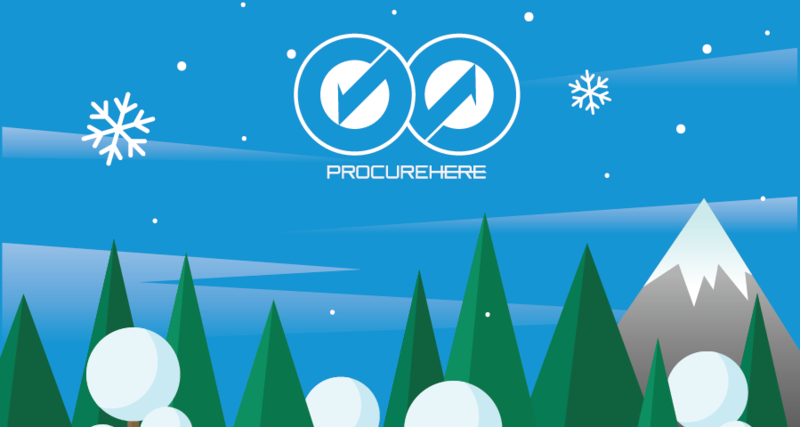 Merry Christmas from Procurehere! It’s not quite a seasonal gift, but if you want a festive treat to light up your Christmas, why not explore our free trial today?